There are a multitude of activities that may require you to be present outdoors for long periods of time. These include participation in trade promotion shows, craft exhibitions, sporting events, cultural and musical festivals. 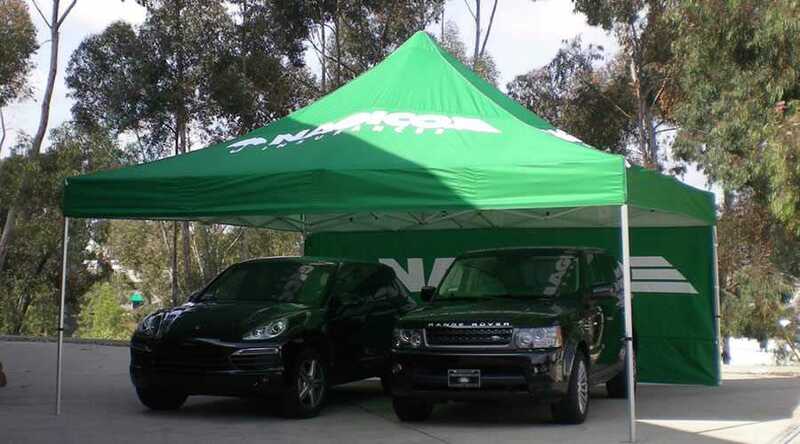 You not only take shelter from the onslaught of the sun, but also, create a big impact with your branding with pop up tents. These are extremely convenient to use. 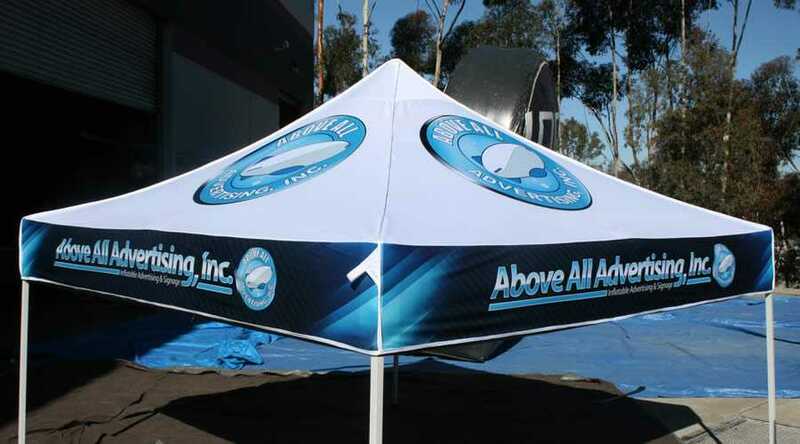 Get in touch with Above All Advertising Inc. for the best portable tents in town. The biggest advantage of a portable shelter is the convenience that it offers. It is completely portable with minimal accessories. It is very easy to erect too. Most tents can be quickly erected by just two people without any special knowledge. There are simply no poles and ropes that will leave you in a tangle and feeling foolish. Just unpack and you are ready to go in no time at all. The stuff is made out of high-technology materials that are tough and very light. You don’t need to be a bodybuilder to lug them around from one event to another. Being extremely compact when folded, these tents are also very easy to store. They may be easily stowed away when they are not required. What will definitely please everybody is the aspect of price. Portable shelters are extremely economical when compared to other alternatives. Now you can get exactly what you want in folding pop up tents from AboveAllAdvertising.net. These are available in convenient sizes such as 5x5, 10x10 feet, 10x15 feet, 10x20 feet, and 20x20 feet. These tents are fabricated from high quality 100% polyester. This material is incredibly rugged, tear and water-resistant. It is also, highly flexible and lightweight. These are designed for the maximum shelter from the sun. These portable tents find ideal application in outdoor activities. Special UV-resistant inks that do not fade with exposure to the sun are used. 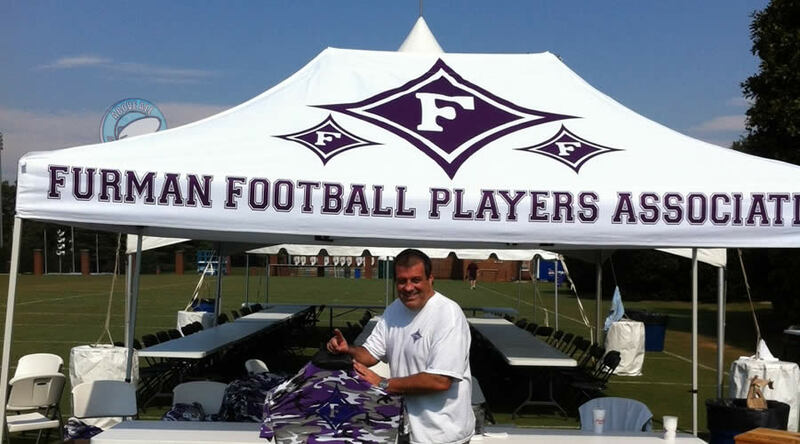 As such, you can now have the corporate or brand logos and promotional messages printed on the tent fabric for great publicity. The rigid portable tents are extremely simple to erect; the best way is to have four persons at each corner. However, the erection can be done with just 2 persons too. The portable shelters are convenient to carry and erect. You would love to use them to create the maximum impact on your target audience. Customers have the opportunity of working closely with the creative and manufacturing teams at AboveAllAdvertising.net. You may design tents that conform exactly to the specifications required. What you will get is an attractive design in vibrant colors with custom imprinted promotional messaging. Printing of the canopy is done by dynamic adhesion, digital dye sublimation or silk screen process. The choice of process depends on the quantities required and nature of the graphics. The frame and the canopy carry limited warranties of 12 months and six months respectively against manufacturing defects. So you can rest easy about the quality and service life. Visit the website https://abovealladvertising.net/ to explore the many options available. You may ask for a no obligations complimentary quote for the pop up tents of your choice.